Dr. Miller offers a variety of medical and surgical services in order to care for your eyes and vision. Routine ocular examinations are essential to maintain the health of the eyes. Many eye problems can be prevented or corrected if detected in their early stages. Regular eye examinations are the best way to detect eye conditions early, when they can still be treated. During the examination a refraction is done to determine the need for corrective eye wear (glasses or contact lenses). The eyes are also dilated and examined for any ocular diseases. Dr. Miller provides the evaluation and management of a variety of ocular conditions such as cataracts, glaucoma, retinal problems, infections, and ocular surface disorders such as allergy and dry eye. A cataract is a clouding of the normally clear lens of the eye. Cataracts are a common cause of decreased vision as a person gets older. 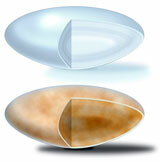 A cataract can be the reason vision is blurred, colors are dull, or seeing at night is more difficult. It may also be why glasses no longer seem to work well. A thorough ocular examination is needed to detect the presence of a cataract and to ensure other eye problems are not the cause of the decreased vision. Surgery is the only way a cataract can be corrected. There are no medications, eye drops or exercises which have been shown to prevent or cure cataracts. If the cataract is at an early stage, surgery may not be needed. Sometimes a change in one’s eyeglass prescription may be helpful. However, when cataracts cause enough vision loss to interfere with your daily activities, surgery should be considered. The latest microsurgical techniques and intraocular lens implant technology allow eyesight to be restored more than 95% of the time. Glaucoma is a disease of the optic nerve, which is the part of the eye that carries the images we see to the brain. When damage to the optic nerve occurs, loss of vision develops. Glaucoma can cause a significant amount of nerve damage and visual loss before one notices a change in their vision. If the nerve becomes severely damaged, blindness can occur. Damage to the nerve and visual loss that has already occurred cannot be reversed; however, loss of sight from glaucoma can often be prevented with early diagnosis and treatment. Regular eye examinations to measure the eye pressure, inspect the optic nerve, and test the peripheral vision are the best way to detect glaucoma. The retina is the light sensitive tissue inside the back of the eye which allows us to see. There are many conditions such as macular degeneration and diabetes which may affect the retina. 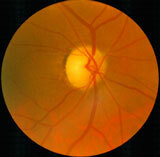 When the retina is damaged, loss of vision can occur. The retina can be evaluated during the eye examination by looking at it directly through a dilated pupil. Early detection of retinal abnormalities are the best way to prevent visual loss. A variety of conditions can affect the surface of the eye. Ocular surface problems include dry eye, allergy, eyelid inflammation (blepharitis) and infections, among others. These conditions can result in redness, tearing, discomfort and blurred vision. Treatment of these conditions can maintain ocular comfort and clear vision.